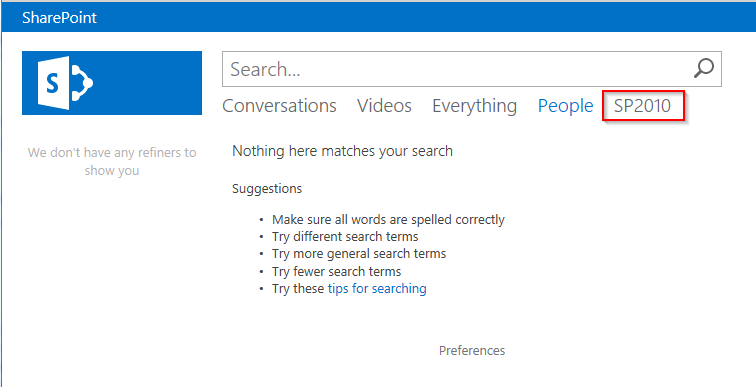 In this post I’m going to describe the process of creating a search tab in SharePoint 2013. I’m going to create a tab called SP2010 which returns results from a specific result source called SP2010. Start by creating a result source for the specific content source. From the Search Service Application click on Result Sources under Queries and Results. Click on New Result Source. On the following screen enter a name, I’ll user SP2010 here and in the Query Transform box add ContentSource= followed by the name of your content source. In the screenshot below I’ve entered ContentSource=sp2010 as that’s the name of my content source. Click save to close. Now create a page to display the search results for this result source. Open your search site and from the options menu choose to Add a page. Enter a name for the page. I’ve chosen sp2010 as this is the name of my result source. Click Create to create the page. When the page is displayed, edit the search results web part. 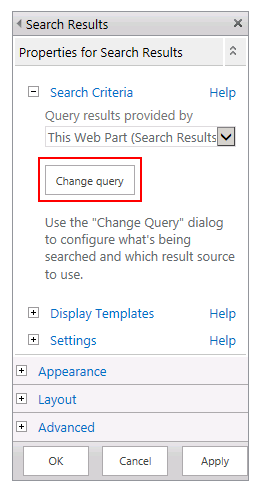 In the web part properties click on Change Query. 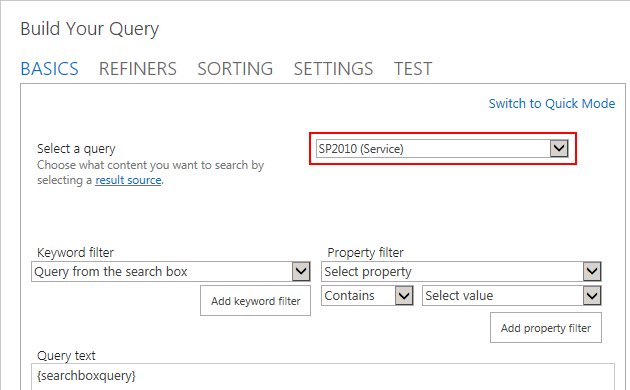 From the Build Your Query page select your result source and click OK. 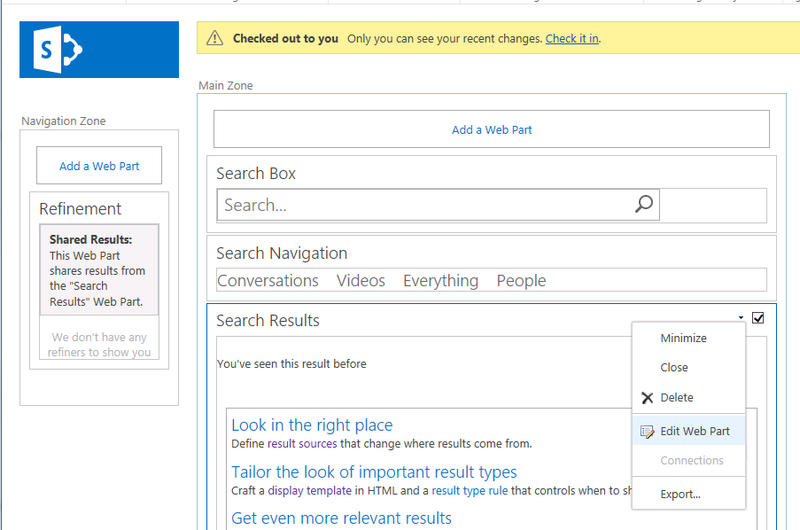 Check in and publish the new search page. Next, open Site Settings for your search site and select Search Settings from the Search section. 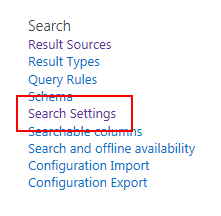 In the Configure Search Navigation section click on Add Link.. Enter a title and in the URL box enter the path to your new search page, e.g. /Search/Pages/sp2010.aspx. Click OK to save the link. If you navigate to your search site you should see the new tab. The tab will only display results from the result source you selected when editing the search page. This entry was posted in SharePoint and tagged Microsoft SharePoint, Search, SharePoint 2013 on May 3, 2013 by richardstk.